Turmeric is loaded with anti-inflammatory properties. Curcumin is an active compound found in turmeric, which helps in reducing inflammation naturally. Chronic inflammation can give rise to swelling, redness and pain. Having a warm glass of haldi milk during bedtime can provide significant relief. Green tea comes packed with essential antioxidants that can do wonders for your overall health. Apart from promoting weight loss, green tea may even block the over-production of inflammatory substances in the body due to the presence of anti-inflammatory flavonoids in it. One of the best sources of omega-3 fatty acids, walnuts come under the category of anti-inflammatory foods as well. You can add them in your salads or in smoothies. 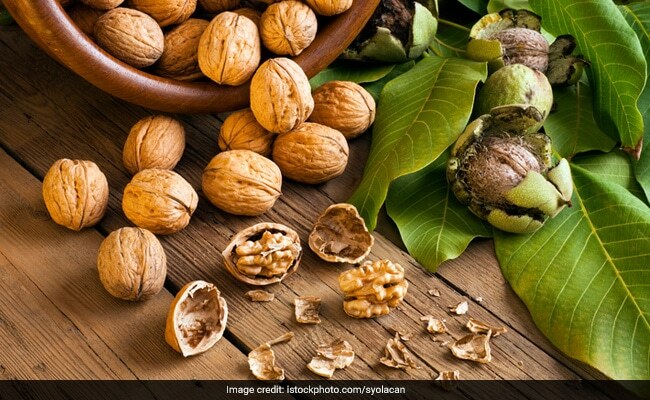 Walnuts also help in increasing the nutritional value of meals. In order to reduce inflammation in the body, one must aim at having a healthy and balanced diet. Green leafy vegetables like spinach, kale, beans etc. are loaded with health-benefiting properties and are part of a balanced diet. Broccoli is another vegetable that has anti-inflammatory properties. Fig or anjeer is abundantly rich in nutrients. Not only does it provide with a healthy dose of calcium, but also helps in fighting chronic inflammation as it contains flavonoid like luteolin, which helps in suppressing the activity of inflammatory cells.